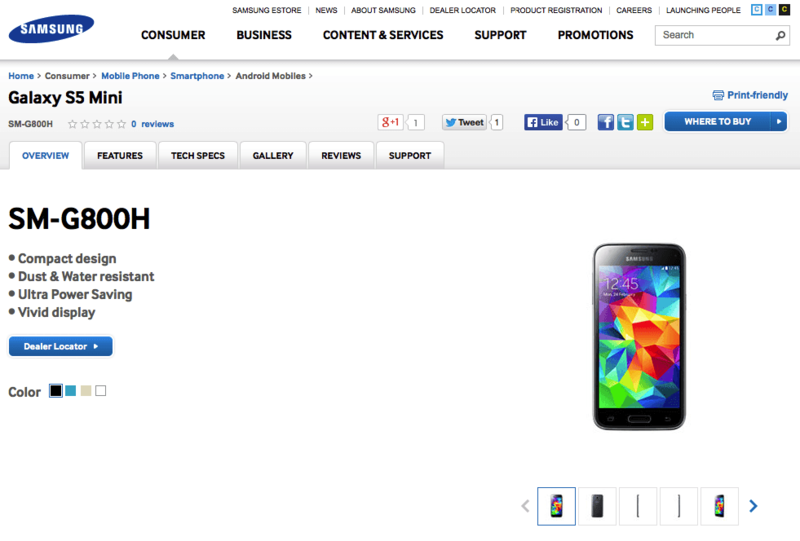 The Galaxy S5 Mini Duos (SM-G800H), which was announced last month has been listed on Samsung India’s official website. It comes with a 4.5-inch HD Super AMOLED screen, 1.4GHz quad-core Snapdragon 400 processor, 1.5GB of RAM, 16GB internal storage, 8MP camera and runs on Android 4.4.2 KitKat. Just like the Galaxy S5, this device is equipped with a heart-rate sensor and an IR blaster. It comes with dual SIM card slots and supported by a 2100mAh removable battery. Samsung is expected to launch the Galaxy S5 Mini Duos in coming weeks with a mid-range price tag. I would be the First to buy if it comes under a price tag below 15K, just a wish……..
*Not at all possible bro Samsung Galaxy S4 mini itself is selling around 17k-18k in India then how can u expect the successor to be cheaper.